Carpet Cleaning in Ashfield, Sydney NSW! Why are you seeking a carpet cleaning in ASHFIELD service? Due to a water damage situation, or floodwater having entered your premises, you want an emergency rug and carpet cleaning in Ashfield to be undertaken, and you are on the lookout for emergency carpet cleaners anywhere in the Ashfield and Sydney, NSW areas, and in this, Franklean Carpet & Tile Cleaning handles emergency carpet cleaning services in the areas we operate. As part of our services, we take care of rug and carpet cleaning in ASHFIELD, steam cleaning in Ashfield 2131, carpet steam cleaning in Ashfield 2131 and most of all our price for cleaning is reasonable and cheap and we offer cheap carpet cleaning in ASHFIELD too. 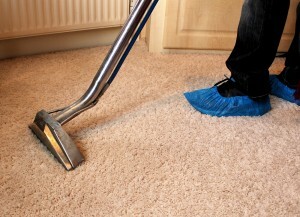 Do you know why it is advisable to get your carpets in your home or office cleaned often? For many reasons, just like any other cleaning and washing services, the carpets too need a periodic clean and wash schedule. And as per this, you need to engage cleaners to get the carpets in your home cleaned and spruced up. Like any other area in your home, the rug and carpets too are prone to getting dusty, dirty and stained with time. This is because of foot traffic and the fact that dust settles down easily in the carpets. Also, food spills and anything spilled on the carpets can cause stains and if grime settles down, it leaves behind unsightly stains. Dirty carpets can spread infections fast. This is because of the dirt and dust and also another aspect, allergens, and pathogens. 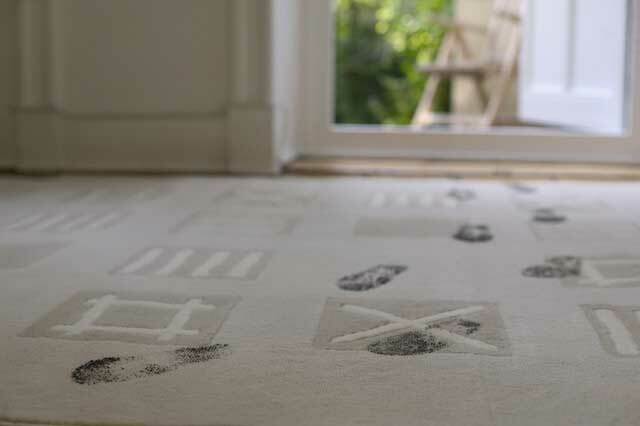 The dust can lead to allergens accumulation and pathogens thrive well in such conditions. And all of this can cause allergies, infections and other sicknesses if it is not cleaned regularly. So, for all this and more, regular carpet cleaning and washing and coupled with steam cleaning would really help clean the carpet and the dust will not just be removed, but the stains too will be eliminated with a deep cleaning. If the carpets are clean and inviting, and if timely washing and cleaning are scheduled, it just overhauls the appearance of your interiors. Clean carpets are definitely easy on the eye and your place looks very neat and clean. When carpets are cleaned often, then it smells fresh and will have no bad odor. Not just this, they will be soft and fluffy and nice to walk on. The lifespan of your carpets increases, if a washing is scheduled often. If you have pets in your home, then you have to take care of your carpets and rug because pet hair can settle down on the carpets and this can cause health issues. So that is why steam cleaning is recommended for all this. If the carpets are not subject to regular vacuuming and a wash every once in a while, then it can be a sore point not only in appearance, but your home could become unhygienic and a hub for illnesses to occur. And a carpet cleaning just cannot happen like that. Only a professional cleaner and washer can get the carpets cleaned the way it should be. And more so, if regular cleaning is undertaken periodically, then there’s nothing like it. A professional carpet cleaner or washer will know how to go about it all. They will know the ways around a round of carpet cleaning or steam cleaning of carpets and what needs to be done, the time is taken, the approach, the process. Not just this, the carpet cleaning is determined based only how dirty and stained the carpets are and are the stains apparent and catches attention. When a professional carpet cleaning service is relied upon, then you may often be mistaken but hiring pros can work out to be a lot more cost-effective and cheap rather than hiring inexperienced and rookie cleaners. The funda is just this much. A professional has better access, equipment, cleaning products and also experience and therefore knows how much time is taken to complete the job and will know how to go about the cleaning too. This way there is no delay and before anyone knows the cleaning is all done and completed in relatively little time. And most of all, the cleaning will be thorough and perfect, that it will dawn upon you the importance of why a professional carpet cleaner should be hired and engaged every time you want your carpets cleaned. You may find carpet cleaners, or cleaning services company in your neighborhood. That is easy. But to identify, the right, experienced cleaners to take care of any cleaning services you seek including carpet cleaning and steam cleaning is the where the catch is. If a cleaning services company values quality above everything else, then nothing like it. Then quality becomes the mainstay and whatever work is undertaken will be absolute and complete. And there is nothing like that to actually say even. Because quality will do the talking and then there is nothing like it. Quality will be amply supported by experience, methodology, and techniques so as to get the work done in the best and most professional manner. So if the quality is consistently met with and the work is undertaken in the best, professional manner, then it will definitely leave customers’ happy and satisfied. As a dependable, cleaning services company Franklean Carpet & Tile Cleaning has on board experienced cleaner and washer to take care of the carpet cleaning and washing and also steam cleaning. And if it is an emergency carpet wash and cleans you seek, our cleaners will take it on. And when it comes to the price or whether we are cheap and inexpensive, our price is definitely cost-effective. We extend our services to clients’ in the ASHFIELD 2131 and Sydney, NSW areas and we with time, we have really proven ourselves. You can reach out to us on 0411 181 990 or email us at frankleansyd@gmail.com.